In 2014 the Prime Build team complete the internal refurbishment of Kmart Blacktown, the first Kmart in NSW. 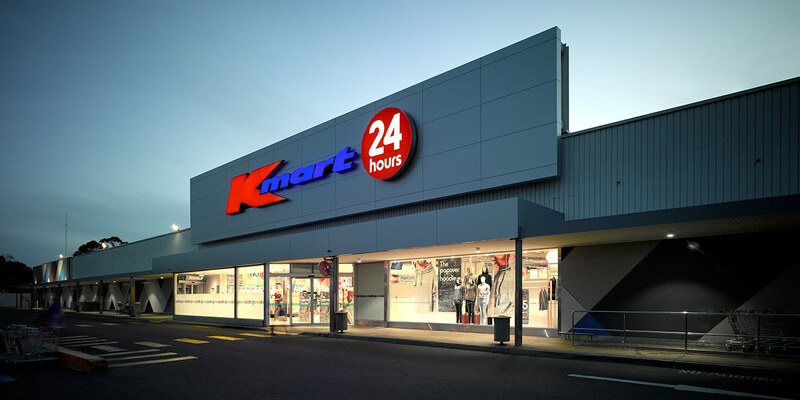 In 2015-16 it was decided that this retail landmark, the second Kmart to be built in Australia, deserved to be given a new look on the exterior as well. Given its 47 year history it was clear this community icon needed to be designed with the local shopper in mind and our team was honoured to be part of the project. What does such a community staple deserve – nothing less than a one of a kind design concept, a new look to be introduced into the Kmart family. The bright colours, lighting and multi-coloured mural makes this Kmart the brightest in the company and something the entire community can be proud of.